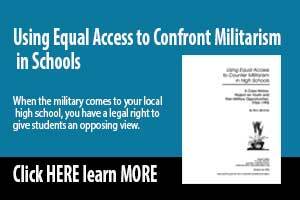 In October 2015, the school board of the Austin Independent School District approved a policy doubling down on restrictions to military recruiter access. 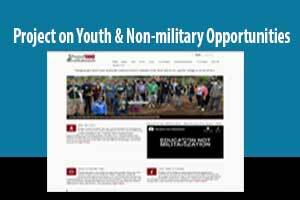 Our Austin truth-in-recruiting group, Sustainable Options for Youth (SOY), had successfully worked with our district in coalition with a student group in 2005-2006 for some recruiter restrictions and equal access for nonmilitary alternatives. In subsequent years, three local recruiters were charged in a series of serious abuses that led SOY to pursue a stronger policy. In a strange twist, this might not have happened had not one of the implicated recruiters contacted us. The e-mail message arrived out of the blue in May 2014 from a former Marine Corps recruiter who had been charged in the sexual assault of a local 16-year-old high school student three years prior. He wrote to ask us to remove the newspaper story about it from our blog site, claiming that the charges had been “proven to be false and dismissed.” He wrote that he was still in the Marines and that the story was making it hard for his family “to move forward.” We had seen no follow-up in the press after the disturbing report had been published in November 2011, but we’d assumed that he’d been convicted of the crime. I shared the Marine’s message with our school district’s attorney to ask if he knew the status of the case. He replied that he didn’t know and suggested that I look up the records at the county courthouse. The Marine wasn’t the only recruiter charged that year in the sexual assault of a student he had met at an Austin high school. In April 2011, an Army recruiter had been arrested after complaints from several prospective recruits led to the revelation that a local 17-year-old high school student had reported that the recruiter had sexually assaulted her in her home in September 2009. 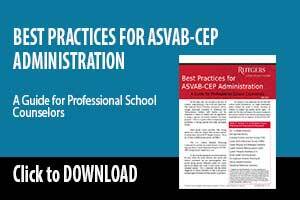 She had told his commander, but the commander had not notified the police, so the recruiter had been allowed to continue recruiting in Austin schools for another year and a half until his arrest. A full investigation was promised, but, again, we had seen no follow-up in the press. After receiving the Marine’s e-mail message, I wondered about this Army assault case. Had it been prosecuted? — Isidro D. Ortiz, Ph.D. This is part of the inscription on the Vietnam Memorial Wall for my childhood friend. Although I have never forgotten his death, I was reminded of his passing by the 45th anniversary of the largest protest against the war by Chicanos on August 29, 1970. 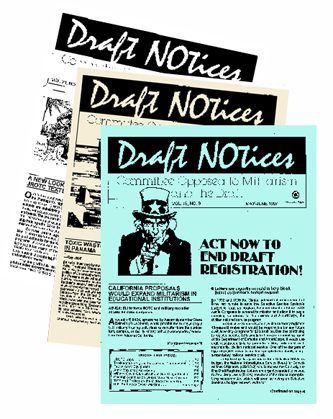 The event was known as the Chicano Moratorium. It occurred in East Los Angeles, California, bringing together nearly 30,000 Chicanos in protest of the war. 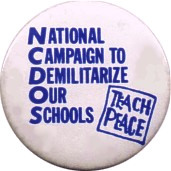 I was not at the Moratorium; however, combined with Roberto’s death, the protest further catalyzed my decision to become a conscientious objector. The death of Roberto and those of many other Chicanos, the protest, and my decision to become a conscientious objector are small pieces of a chapter in the Vietnam War story that has been omitted in most discussions of the war. So when some hear for the first time the elements of this chapter, they ask basic questions, such as: How many Chicanos and other Latinos participated in the military during the war? Why did Chicanos protest the war? How were Chicanos and other Latinos affected by the war? How many died in the war? 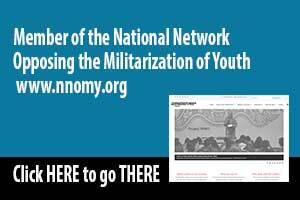 More and more cities have begun to pave the way toward economic justice by supporting the nationwide iThe seventh effort by Selective Service to pass legislation that would boost draft registration compliance in California collapsed when the proposal received several crippling amendments, followed by a veto by Governor Brown. Assembly Bill 82 passed the California Assembly, but in order to get it through the Senate Appropriations Committee and onto the Senate floor, its author, Assemblywoman Cristina Garcia, was forced to accept poison pill amendments that would neutralize it. I am returning Assembly Bill 82 without my signature. This bill requires the Department of Motor Vehicles to provide men with the option to register with the U.S. Selective Service System when applying for an original driver's license. In view of the relatively easy ways that young men can register for the U.S. Selective Service System such as registering online, at their high school, or at a local post office, I don't think this new responsibility for the Department of Motor Vehicles is advisable."